Honorary Consulate General of Switzerland in Bridgetown, Barbados located at The Goddard Building, Haggatt Hall, St. Michael. View address, telephone numbers, fax, email and hours of operation below. 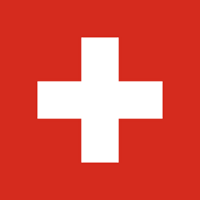 Please call Honorary Consulate General of Switzerland in Bridgetown, Barbados at +1 246 227 30 45 to find out current hours of operation and other details. This page was last edited on 13 September 2018, at 03:33 AM (EST).